Featured in Hasbro's Toy Fair showcase is the highly anticipated launch of BEAST HUNTERS, the touchstone for the TRANSFORMERS brand entertainment in 2013 driven by the award winning "Transformers Prime" animated series. Produced by Hasbro Studios and seen by kids and fans in 182 countries around the world, the third season of the series finds the AUTOBOTS facing off against both the DECEPTICONS and unprecedented new foes: the dragon-like PREDACONS. The BEAST HUNTERS multi-platform IP and new PREDACON characters come to life across programming, digital games, publishing, new toys and more. 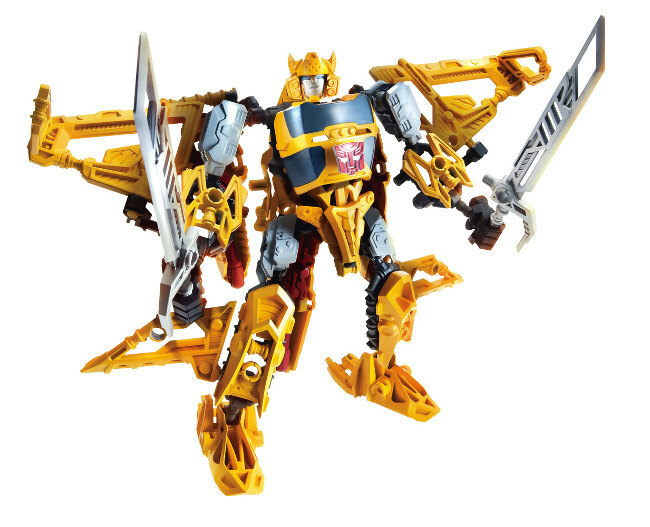 At Toy Fair, Hasbro introduces a new, highly innovative way to experience TRANSFORMERS action figures with CONSTRUCT-BOTS, the first ever line of TRANSFORMERS figures that kids can customize and convert. For fans of the MY LITTLE PONY brand, a pop-culture phenomenon, more magical journeys of friendship and fun kick off at Toy Fair. Kids around the world will enjoy discovering the whimsical world of pony friends, watching their adventures unfold in the "My Little Pony: Friendship is Magic" animated series created by Hasbro Studios. Fans can immerse themselves in imaginative stories of their own with delightful MY LITTLE PONY toys inspired by the series seen in 180 countries, including a variety of ponies and playsets based on the introduction of the CRYSTAL EMPIRE and the upcoming coronation of PRINCESS TWILIGHT SPARKLE. With over 200 licensees for the brand globally, fans can also experience the MY LITTLE PONY fun across a wide variety of platforms including the MY LITTLE PONY app from Gameloft available on iTunes and Google Play as well as the new, wildly popular comic book series from IDW Publishing. The innovation doesn't stop with TRANSFORMERS and MY LITTLE PONY as Hasbro prepares an exciting new introduction for its classic PLAY-DOH compound. The iconic PLAY-DOH brand has been inspiring kids' creativity for generations and in 2013 Hasbro introduces a new compound to the line: PLAY-DOH PLUS, a soft and fluffy compound that allows for a new level of creative detail in PLAY-DOH play. Hasbro, Inc. (NASDAQ: HAS) is a branded play company dedicated to fulfilling the fundamental need for play for children and families through creative expression of the Company's world class brand portfolio, including TRANSFORMERS, MONOPOLY, PLAY-DOH, MY LITTLE PONY, MAGIC: THE GATHERING, NERF, LITTLEST PET SHOP and G.I. JOE. From toys and games, to television programming, motion pictures, digital gaming and a comprehensive licensing program, Hasbro strives to delight its global customers with innovative play and entertainment experiences, in a variety of forms and formats, anytime and anywhere. The Company's Hasbro Studios develops and produces television programming for more than 170 markets around the world, and for the U.S. on The Hub TV Network, part of a multi-platform joint venture between Hasbro and Discovery Communications (NASDAQ: DISCA, DISCB, DISCK). Through the company's deep commi™ent to corporate social responsibility, including philanthropy, Hasbro is helping to build a safe and sustainable world for future generations and to positively impact the lives of millions of children and families every year. It has been recognized for its efforts by being named one of the "World's Most Ethical Companies" and is ranked as one of Corporate Responsibility Magazine's "100 Best Corporate Citizens." Learn more at http://www.hasbro.com.